When you think about it, if life-threatening illnesses such as Swine Flu can be healed with Vitamin C, then just about any infectious disease can be, if enough of it is given. And of course, Homeopathic remedies are another stand-by in the case of infectious diseases. See the list below for more information on using Homeopathy and other alternative therapies. Practitioners of Natural Health have been fans of Vitamin C therapy for a long time. But – so have many doctors, including the New Zealand doctor Eva Hill, the early doctors, Dr Max Gerson and Dr Zenner, Dr Ann Wigmore, Dr Brighthope, and Dr Thomas E. Levy. The last two doctors are modern-day doctors. Dr Levy wrote a fairly recent book, in 2002, on the aspects of Healing with Vitamin C. This book is called “Curing The Incurable: Vitamin C, Infectious Diseases, and Toxins”. It is published by LivOn Books, Henderson, NV 89052, USA. Reading these posts might be helpful if you have decided to forfeit those much-promoted and often dubious flu injections. Of course, if you have radiation sickness, then you will need expert help to recover. Colour therapy can be safely added to whatever treatment you might be undergoing, and it can be applied at home. Radiation, as we might well guess, has a red colour. Red is a heating colour, so, to negate the heating effects of red in radiation, its opposite colour blue is used to counteract the energy of red.. Green, another cooling colour, is also good to use when treating the effects of radiation. 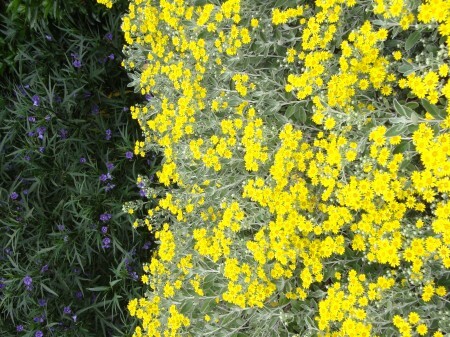 But first, – a brief explanation of how and why colour works to heal conditions in the body. There are seven colours of the rainbow. There are seven major energy centres in the body, each of which corresponds to one of the colours of the rainbow. These seven major energy centres are known as CHAKRAS in Indian Hindu and Buddhist philosophy. The chakras all have their own vibrational rate, and they absorb their own colour and vibration from the food we eat, the thoughts and emotions which we experience, and our natural environments. 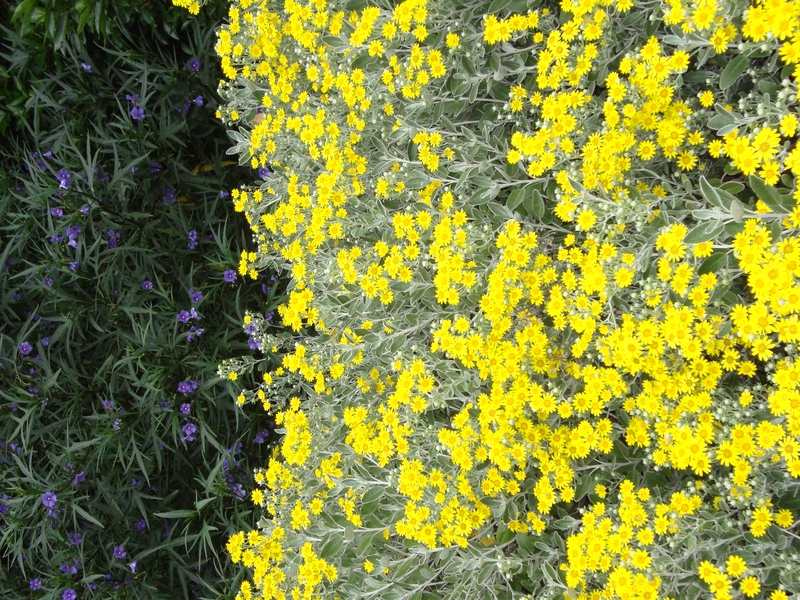 There are thera-correspondences between colour, sound and smell. Colour is in everything – Everything in the world has a vibration which corresponds to a colour, or a combination of colours. Even homeopathic remedies have a vibration which relates to a specific colour, even though the original ingredient in the homeopathic remedy may be impossible to detect..
Every person has an aura about them which contains all the colours of the rainbow: the body needs a balance of colours for it to stay healthy. We absorb much of the colour we need from the environment, from the sun’s rays, from the sea, lakes, trees and plants around us. You can see, then, that living in cities which are often devoid of plants and trees will have a weakening effect on your health: living in surroundings which have a predominance of grey concrete affects the health adversely, as well as the emotions. Housing estates which have plenty of green trees and flowering trees, as well as plenty of space for children and adults to play, will generally speaking have a more peaceful and healthful society than concrete dwellings which do not have lovely green parks with flowering plants close by. But we also procure colour from our food, as mentioned above, such as in green vegetables, the orange in pumpkin and carrots, paw paw and mango. This is why eating vegetables is so important, especially greens. Green is the central colour of the sprctrum, which happens to be a healing and cooling colour.. Chlorophyll, the great healer of cancer and many other degenerative disease, is green in colour: Green is the colour of life – of forests, healing. cool, and calm. When people are exposed to radiation, they absorb more red rays into the body. An excess of red rays is what causes sickness. So, to counteract radiation, the colour blue is needed to balance out the excess of red. A simple blue light bulb can be put into a socket at home. Basking in this light for around half an hour per day will help relieve the effects of radiation. You might want to use more, if your nerves have been adversely affected. This therapy will help people who have undergone x-ray treatment and radiation treatment for cancer. Green is cooling, healing, and helps to detoxify the body. Green solarized water is another way in which you can increase the green rays going into your body. To solarize your water, simply fill a green bottle or two with good purified water. Green wine bottles make excellent vessels in which to solarize your water. Leave the bottles in the sun for several hours, on the window-sill, or outside in the garden. They can be left for up to a day outside, but about four hours is a good time, if the sun is out. You will find that the green solarized water tastes very sweet, which is a sign that the green colour and vibration has infused your water. Some people recommend drinking from one to three glasses of green solarized water a day to help purify the body. However, I find that it is extremely potent and should be used with caution. Watch how this affects your health. It should have a calming and cleansing effect, but be careful to use it moderately to start with. Green From Chlorophyll is a great healer. The cooling, cleansing colour of green is used in diets for people with cancer. Dr Ann Wigmore used wheat grass juice to first heal herself of cancer: She later used wheat grass juice in her famous cancer clinics. Green is a great detoxifyer. Green mung bean sprouts, celery, broccoli, wheat grass juice, spinach, silver beet, parsley, lettuce, spirulina, kelp, are all great natural sources of green chlorophyll. Alternative therapies for cancer – Do they work? Doctor Max Gerson, Dr Anne Wigmore, and two New Zealand healers, Dr Walter Last and Dr Eva Hill, are some of my favourite alternative cancer therapists. These doctors have all written books on their methods of natural healing. They are all highly qualified medical people who have turned to natural means to cure people of disease. These people have cured many, many people over the course of their careers, of cancer, and other degenerative disease, and helped many more to prolong their lives. One is not to assume, though, that their methods are infallible: not everybody survives cancer, whether it is treated by orthodox radiation and chemotherapy, or by alternative means. Note: Do see your doctor or health professional if you think you have cancer. This article is not intended for people who want to do a ‘home cure’, but is intended for information only. All of these health pratcitioners used detoxification methods with a diet of optimum nutrition in the form of raw food and juices, to help cure their patients. Raw food and raw vegetable and fruit juice is essential in these alternative therapies. Raw food, which provides optimum fiber, is cleansing to the bowel. It is also rich in enzymes, antioxidants, including Vitamin C and other nutrients, all of which help to heal disease, including cancer. Dr Max Gerson founded a clinic which is still run today in Mexico. He originally began in the USA, but was chased out of America by the FDA, medical authorities and the drug barons, who obviously were threatened by his astounding success in healing disease without the use of drugs. The secret is in the elimination of toxins. Detoxifying the Body through natural means is essential. Raw foods help with this, but it is important to hurry up the process of detoxification, especially in advanced cases of disease. Castor Oil Treatment: The famous components of Dr Max Gerson’s diet, apart from the regular juices and raw salads, and a breakfast of oatmeal porridge with grated raw apple, are castor oil and coffee enemas. Two tablespoonsful of castor oil are taken every second day with a cup of black coffee. This is followed by an enema within five hours. Dr Gerson was convinced that the healing properties of castor oil would help to save many lives. He began administering this to his patients. He noticed that for many people this was the answer, but saw that the more debilitated patients often had a major decline in their health on the third day after having taken castor oil, even when they had initially improved. He put this down to the fact that the castor oil was releasing poisons from the liver too quickly for the intestines to eliminate them: These poisons were being reabsorbed into the blood, which was causing poisoning by auto-intoxication. This was when he had the bright idea of introducing enemas, in combination with regular doses of castor oil every second day, to flush away those poisons in the intestines. It was the simple enema, in combination with the castor oil which detoxified the liver, which was responsible for his success in turning the condition of cancer around so that it could be beaten. Miracle Cure of Jacqui Davison. Jacqui Davison, who survived cancer using the castor oil, enema, and raw foods with juices, also wrote a book on her recovery from cancer. She had been given up by the medical profession to die. Her daughter persuaded her to try the Gerson approach. She agreed to the treatment, fully expecting that she would still die, as she had been given only days to live. But, day by day, and then week by week, she still was not dying, but was, instead, slowly recovering strength. She fully overcame the disease: The ‘side effects’ of the castor oil, enema and high nutrient programme resulted in her growing a new head of hair and a new set of teeth after a year on the diet and detoxification regime. Jacqui’s success story is no ‘wishy washy’, ‘pie in the sky’ story: Her story is well documented. It is a fact that she had been abandoned by the medical authorities. “Oh, well it couldn’t have been cancer if you’ve cured it, then”. So she agreed, this time, to a biopsy which proved there had been cancer growing in her breast. She had been opposed to the knife going in, initially, as she felt that would spread the cancer about her body, but she agreed to this operation so that the medical authories would know for sure that she HAD beaten cancer. Sure enough, the reults were positive – it was cancer. But, as she had predicted, the knife cut caused the cancer to start up again, and this time it took her two years to beat the cancer properly. Macrobiotic Diet As Therapy: I have heard of people who have recovered from cancer and other disease using only a macrobiotic diet, which is not raw food, but high fiber cooked rice and vegetables. I believe it is the elimination of dairy, wheat and sugar in this diet which helps its efficacy, but no doubt the combination of nutritious alkaline foods, eaten with brown rice, has a healing effect. Then again, recovery using this type of diet, or indeed any type of diet, will depend really on the sort of cancer being treated, how severe the disease is, what resources one has to grow or buy organic foods and look after oneself, emotional support, and determination with a strong will to live. Walter Last and Detoxification: Dr Walter cured many people of disease in the Northland area before he went to Australia in the 1980”s. He wrote a book called “Heal Thyself”. His methods were similar to Gerson’s in that the enema was an all-important tool for quickening detoxification. Walter’s diet allowed you to eat millet or cornmeal porridge in the morning. His maxim was ‘Never eat cooked food on its own without something raw’. Raw food, especially mung bean sprouts, however, was still the basis of his diet. The addition of two raw egg yolks a day, with sips of calf liver juice at meal-times for extra enzymes, vitamins B6 and B12, iron and other minerals, were complimentary to his diet. Enzyme Rich Calf Liver Broth is another integral part of Walter Last’s diet for recovering from disease. See my post on how to make this. Freshly Pressed Juices: These are an integral part of many alternative therapies for cancer, including Walter Last’s approach, Dr Anne Wigmore, and Dr Gerson’s. These healers favoured freshly pressed wheat grass juice, but organic carrot juice, beetroot, celery, apple and other vegetables and fruits were used. A glass of fresh juice was recommended every hour on Walter’s diet, and also on the Gerson programme. I don’t know so much about the specifics of Dr Eva Hill’s treatments, or if there were any, except that she used raw foods as the main component: I have only ever seen one book which she wrote. I must find this book again to refresh my memory on her methods. When I had a breast lump about twenty years ago, I read Dr Eva Hill’s book, which inspired me so much. I also had the books by Dr Gerson, Dr Anne Wigmore, and Walter Last and devoured the information in these as well as any others I could lay my hands on. I devised a treatment for myself which was ‘do-able’. I bought a juicer and proceeded. We were lucky enough to keep a good vegetable garden at the time, which meant I had the added therapy of not only eating plenty of organic fresh vegetables and fruits, but of being out there in the life-giving garden much of the time. I took castor oil every second day followed by a cup of black coffee, with an enema about two hours after the castor oil. I used several enemas a day – from three to five in the beginning of the treatment. I had a fresh juice every hour, took Walter’s calf liver juice at meal-times, had two raw egg yolks a day, ate heaps of sprouts in salads, used olive oil, used enemas, did meditation. After three months, the lump had gone away. I was elated. Thinking I was cured, I began eating other foods again, including a bit of dairy, wheat and cooked food. To my alarm, the lump began to grow again. So I went back on the diet and eventually, after several months, the lump went away for good. Ridding the Body of Cancer. Alternative Medicine: Does It Work? 22nd September, 2010. Last night, on ‘Close-Up’, Channel One TVNZ, we were given what I consider to be a very unfair and misleading representation of alternative therapies in a documentary presented by Mark Sainsbury. I really think that the more recent documentaries on Channel 3: 60 Minutes with Mike McRoberts have given us more valuable information on alternative therapies than any of the recent ‘Close-Up’ docos, but then, 60 Minutes perhaps has more time to prepare, with only one whole hour of screening once a week, compared to ‘Close-Up’s half an hour, week-days. Hocus Pocus: The whole of the “Close-Up” documentary was very quickly put together, by the look of it, without giving us any examples of people who have been cured of disease by natural means. The emphasis really lay on the side of orthodox medicine. “Is our government being held to ransom by liquor barons? we were asked in the same programme: Good question. Great coverage here. But regarding alternative therapies, and their being dismissed as ‘ridiculous’, I wonder who is being held to ransom on this issue? Drug companies and the conditioning of doctors were not discussed in this programme. The documentary looked briefly at only three therapies which were administered by ‘alternative’ practitioners. These were Reiki healing, Reflexology, and the cupping technique used in Chinese medicine. It overlooked the fact that many health practitioners will use not just one of these techniques, but several techniques for treatment depending on what the ailment or the sickness is. Diet and detoxification are generally two high on the list. Combined modalities such as homeopathy, acupuncture, and macrobiotic diets have many successes in treating disease, including cancer. The Royal Homeopath: The Queen and all the Royal family have their own family homeopathic doctor, who has kept them all well for years. How old was the Queen Mother when she died? 100? 101? She was a fan of homeopathic medicine. No doubt, there would have been occasions when allopathic medicine was used in the Royal household, but homeopathy is the preferred medicine of the Royals. ‘The Faculty of Homeopathy in London is recognised in law just like all the other learned medical faculties”…….. yet Victoria University doctor Shaun Holt says homeopathic medicine is not valid because he says there’s nothing to prove that it works. Just how a doctor from a university such as Victoria Uni in Wellington can remain so ignorant about alternative treatments beats me: There is heap of literature on well-documented cases of people who have recovered from degenerative disease, like cancer, using alternative therapies. Dr Ann Wigmore wrote a book on how she healed herself of cancer by natural means. She then proceeded to help thousands of people over the years, healing many of them, in her cancer clinics which she ran in several places – America, and Sydney, Australia. There is the famous cancer therapy of Dr Max Gerson: He also wrote extensively about his ‘alternative’ treatments, about 50 odd years ago. Hocus Pocus was the signage, written in bold red type, at the top right of the documentary when the alternative therapies were “on”. Is that impartial? Definitely not. Dr Shaun Holt, who works at Victoria University, Wellington, which is hard to believe, considering his prosaic turn of phrase and his profound ignorance on the subject of alternative therapies, told us that alternative therapies were ‘a waste of time’, that they were ‘ridiculous’, and that they are ‘wishy washy’. This Dr Shaun Holt appeared on a programme just two nights ago, on TV One’s “Sunday’ programme. It is a bit of a worry that TV One drags this uninformed man up twice in the same week, to damn the use of natural therapies. Of course, he was against the use of Vitamin C in hopitals, on the ‘Sunday’ programme, and claimed that ‘there is no compelling evidence’ for the use of vitamin C in treating people with cancer. Wrong, Dr Holt. I suggest you talk to Dr Goodhope in Melbourne, Australia: he is a vitamin C specialist who might enlighten you. Dr Goodhope said, on an earlier programme, that he considers it ” is absolute neglect to refuse Vitamin C for an acute illness, like swine flu, in the early stages.” I am sure that he would also consider Vitamin C to be useful in the treatment of cancer. Get hold of some books by Dr Max Gerson, Dr Ann Wigmore, Walter Last: there are hundreds to choose from, written by qualified people, which recount their successes using ‘alternative’ therapies such as diet and detoxification. So Shaun Holt says alternative therapies are “just nonsense” and ‘ridiculous’. He dismissed the idea of ‘energy’ being utilized in Reiki healing and said there was no evidence that this type of energy exists. Dr Holt does not seem to have heard about the ancient Chinese/Tibetan methods of healing – these are recognised by many doctors in the profession today as being totally valid: the twelve main meridian lines can be equated with the modern nervous system of an individual. Yoga, acupuncture, acupressure, shiatsu and other reflexology techniques are based on the science of these meridian lines, which most surely do have a foundation. So Dr Holt’s claim that there is no science behind reflexology is either an outright lie, or just plain ignorance. People die of cancer and other disease every week, after having gone through the orthodox channels of treatment in the hospitals. Sadly, Dr John Pollock, a very well-loved and respected man and physician, died this week from cancer. He was only 61 years old. Orthodox medicine did not save him. It was encouraging to hear Dr Sue Levin stating on an earlier programme that Vitamin C reduces pain, which was one good reason for its use in hospitals. She said that intravenous Vitamin C has a strong role to play in treating cancer, but that it was not a ‘stand-alone’ treatment. Combining ‘alternatives’ with orthodox treatment could prove to be interesting. Of course there is a place for orthodox medicine, but let’s face it: It does not work for everybody and for every condition. People still die of cancer under treatment given by the hospital doctors. To be fair, we should acknowledge that natural therapies do not always work either, but at least they should be given an equal chance as that of orthodox medicine, and not dismissed as ‘just nonsense’ by the likes of Shaun Holt, or as ‘Hocus Pocus’ by ‘Close-Up’. Are there any Alternative Therapies for Cancer that really work? I think that Dr Max Gerson’s book is still one of the best books around on the subject of healing cancer naturally. In this book, he gives the results of 50 cases which he treated using his methods of detoxifying the body whilst providing maximum nourishment, mainly in the way of raw food and juices. I have personally found the Gerson therapy to be of great value over the years in treating instances of severe ill health: I used a combination of treatments which I took from the work of Gerson, Dr Ann Wigmore, Walter Last, Dr Eva Hill and others. 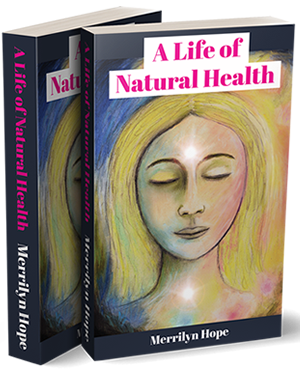 I was never diagnosed as having a definite cancer growth in the breast: the doctor who wanted to get a biopsy done, more or less on the spot, frightened me into taking charge, finding all these wonderful books, and getting on with detoxification. Actually, this was my only option at the time- Walter Last, who could have helped me, had moved to Australia, and there was nobody to compare with Walter in Auckland. All the naturopaths that I went to in Auckland were terrified of treating me in case I died, and they got sued. This is a terrible situation, really – people die all the time under the supervision of doctors, but somehow things are made worse for the naturopath should this happen. I certainly didn’t want to die of cancer. I had young children to rear. I thought that it was possible that the lump was cancer, as I had been exposed to 245T and other chemicals within four or five years prior to getting sick this time round. If it wasn’t cancer, then it wouldn’t matter, as it should heal anyway, if I followed the ideas in these books. All these books were written so convincingly, and with such authority, that there was no doubt in my mind that the methods would work if I persevered. About five years after my miraculous recovery, on Waiheke Island, New Zealand, there was a spate of breast cancer and ovarian cancer which struck at least six women which I knew. Most of these women were in their 40’s, and one of these women, alas, was only in her 30’s, with two very young children to care for. There was quite a bit of herbicide spraying going on at the time, and the vineyards, which had suddenly arrived on the scene, were spraying about chemicals quite close to where people were living. You could smell it on the wind most days in the early spring, at the house where I was living in Shelley Beach. These cancers happened all within a couple of years. Except for one cancer ‘victim’, they all underwent orthodox chemotherapy and radiation, and except for the one who rejected any medical intervention, they all died within about six months of undergoing treatment. My friend who opted for a natural death survived for five years after the last of our other friends had died. She decided to follow what she thought was a ‘natural’ cure, with the addition of a salad with raw carrot added to her midday meal each day. She was adamant that no castor oil, or enemas, were needed. I am quite sure that if she had done the whole thing properly, in the way that Dr Gerson would have prescribed, and that of many another healer, I think she may have been alive today. Still – there is a Divine Plan for all of us, I’m sure, and sometimes even the best of treatments, followed to the letter, have no impact. It was the same thing with the son of another friend: Only so much of a ‘natural’ cure were adopted. All the hard bits, like taking castor oil, and enemas, were left off the list. Castor oil and enemas were undertaken only during the last few months of life, when it was obvious, after a whole year of eating extra salad material with no real change to the diet, that eating a bit more salad in the diet was not going to be the cure. Mind you, this poor lad had an extremely virulent type of cancer which did not have a great prognosis, even by orthodox standards, so it is possible that even the most strict dietary and detoxification regime may not have helped in the long run. It is also possible that by rejecting the amputation of the affected limb, that he avoided the stress of amputation and actually prolonged his life anyway. Not everybody who undertakes natural treatment, which generally means raw food, detoxification with enemas and colonics, or other alternative therapies for cancer will necessarily survive. The most important thing is that you have to really want the cure to work. You have to want to live. Some people only do a ;cure’ half heartedly, I am sure, becuase they are not a hundred per cent sure that they want to live. Emotional causes get the better of them, and they never really put their heart and soul into it. Many people have given up, or give up when they hear that they have cancer. The emotional shock of hearing that you have cancer is just about enough to finish most people off, let alone going in for the arduous, strength sapping, soul-destroying and demoralizing sessions of chemotherapy and radiation. And there again – if you have had chemotherapy and radiation, then your chances of recovering on a natural, alternative therapy are reduced dramatically. But some people HAVE managed to do this, Jacqui Davison being one of them. To beat cancer, you have to be very determined and courageous, no matter what treatment you use. Some people actually do recover from cancer using orthodox chemotherapy and radiation treatments, of course, although the cases I know of are few and far between. Three relatives of mine who suffered breast cancer, who all come from agricultural communities, have all undergone orthodox treatment and are still alive five years later to tell the tale. Another relative has had leukemia and survived because his dear brother donated bone marrow so that he could live. That was ten years ago. Recently, he has had colon cancer which he has had operated on. These are the successes, the people amongst my family who have survived with orthodox treatments for cancer. It is not very many. But the amount of people I know who have accepted orthodox treatment for cancer and have died? Uncountable. Some of these people have been elderly, but it makes one wonder – was the whole onslaught of bizarre and distressing treatments justified in being given to these elderly people, when they obviously did not have the strength to withstand such violation to the body? This is not to dissuade you from taking the orthodox approach, though. You just never know what may really be the best thing to work. One should get the opinions of several different specialists, in different fields of health before making a decision. One dear cousin who refused orthodox treatment died after a couple of years, from breast and ovarian cancer. She, like my friend from Waiheke, and others, believed that she was eating a healthy diet, and did not follow any definite plan to recover health, such as the use of enemas and castor oil to detoxify quickly. She had the idea that eating salads with her regular meals would do it, with the aid of prayer, of course. This dear cousin, though, had lost her husband two years beforehand. He had died at round the age of 40 of a heart attack. She was left on her own, a young woman, utterly grieved, and having to fight the insurance company for the life insurance which her husband had paid into. The two years of legal battle, I think, was too much, on top of the untimely death and devastating death of her husband: I don’t think that she really had her heart into recovery. Incidentally, her husband was driving trucks for a carrying firm in a rural area, and had just finished loading up his truck at the time of death. The chances are high that he would have been carting agricultural chemicals for part of the week. which would have caused damage to his heart, apart from that caused by lugging the weight of heavy sacks about. The most important ingredient for recovering from cancer through doing the hard work on an alternative therapy is emotional support. It is imperative that you have someone close who will encourage you and keep you motivated. The other essential is that you need a period of time spent entirely on your own recovery, without having to work. This means that you need money, or someone who will support you through the healing process. So – there is no guarantee that you will recover if you follow a ‘natural’ cure. Some people, I believe, just do not understand what is required to prompt the body into reversing the process of cancer. It takes an enormous amount of effort, in most cases, with special detoxification methods. But even then, it is not necessarily a given that you will recover and beat the cancer. However, many, many people HAVE recovered from the disease using alternative therapies for cancer. You really need to think carefully before deciding on what course of action you are going to take, and whether it will be orthodox, or alternative. Some books to read which can inform you better about different methods for treating cancer and other degenerative disease are the books by Dr Max Gerson, Dr Ann Wigmore, Dr Eva Hill, and Jacqui Davison. More to follow this up later today or tomorrow.